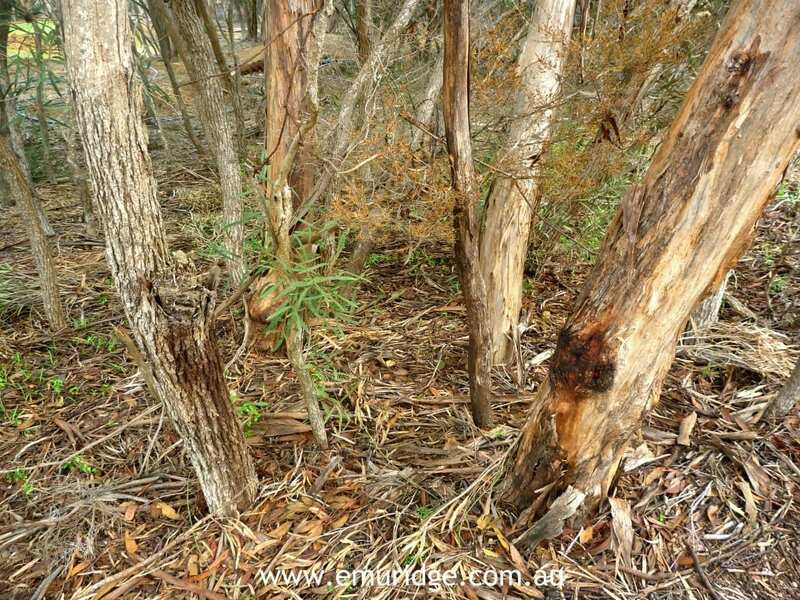 The Kangaroo Island Narrow-leaf Mallee (Eucalyptus cneorifolia) is the variety of Eucalyptus tree that Emu Ridge sustainably grows and harvests for its famous Eucalyptus oil. 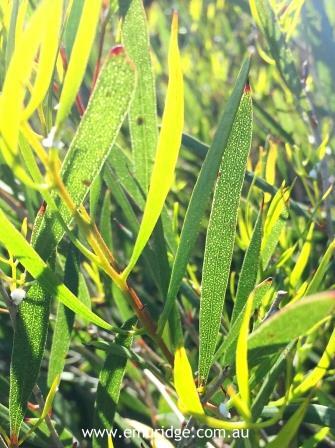 Eucalyptus oil was Australia’s first true export overseas! In the early 1900’s there were over 100 Eucalyptus stills on the island producing eucalyptus oil from the Kangaroo Island Narrow-leaf Mallee, making it the biggest export off of Kangaroo Island during that time. 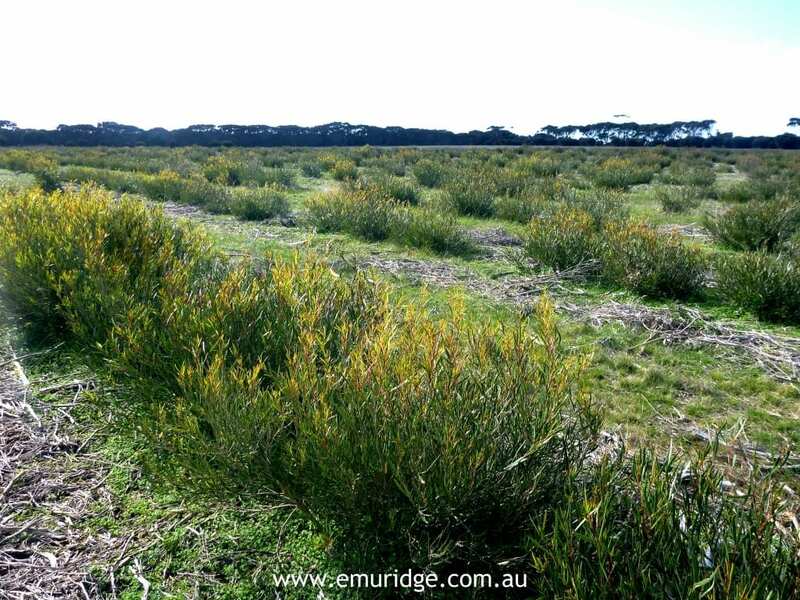 Today Emu Ridge is the only Eucalyptus oil Distillery in South Australia. 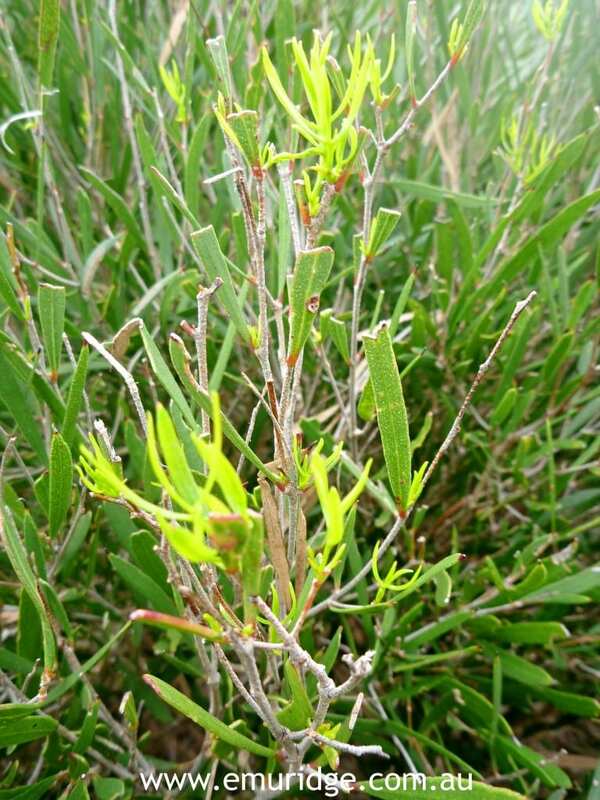 The Kangaroo Island Narrow-Leaf Mallee is native to Kangaroo Island. Bev and Larry Turner founders of the Emu Ridge Eucalyptus oil distillery in 1991 were lucky to have an honors student Adam Steer do a study on (Factors affecting oil yield, and genetic selection for the improved oil yield, in Eucalyptus cneorifolia growing on Kangaroo Island) After many years of research and through selective breeding Larry and Bev have endeavored to collect seeds from the best oil-bearing, disease free and drought resistant plants. These seeds are then grown to seedlings and looked after at the Emu Ridge nursery. Sustainability of the species is the key to it’s future and also the reputation of the oil. 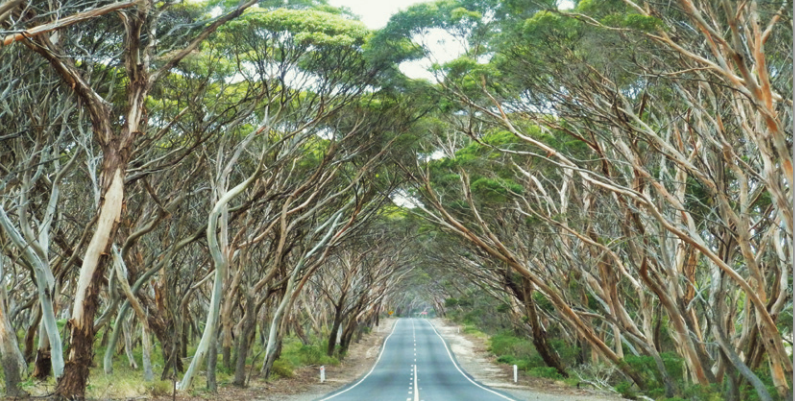 Buying from local and small businesses like Emu Ridge is the best way to support the future of trees like the Kangaroo Island Narrow-leaf Mallee. 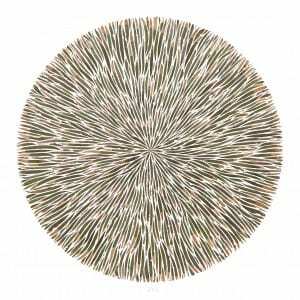 Description: A small mallee type to 16′ with cream flowers. This species is used primarily for essential oil extraction and is often cultivated for the attractive foliage. It is quick growing, suitable for windbreaks and erosion control, salt effected areas and does well on limestone type soils. It is a rare species from Kangaroo Island and has no closely related species. It is from the Myrtaceae family. Culture: Sun, well drained acid or alkaline soil, sandy loam, low moisture requirement. Uses: Shrub or small tree, essential oil production, ornamental, windbreaks, coastal area plantings, cut flowers, foliage and fruits. 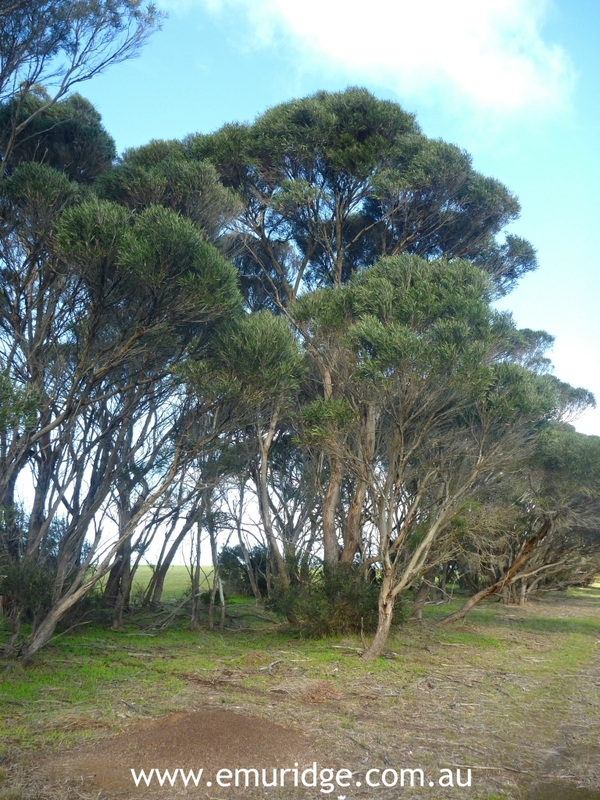 The Kangaroo Island Narrow leaf mallee trees are easily recognized by their erect stems, narrow leaves, crowded fusiform buds and hemispherical fruit. They are often cultivated because of its attractive foliage. They are a fairly hardy plant, with only a few threats including inadequate recruitment and livestock grazing. Like the name suggests, the leaf of the tree is narrow and long with beautiful dark olive green foliage and bright lime green new foliage. 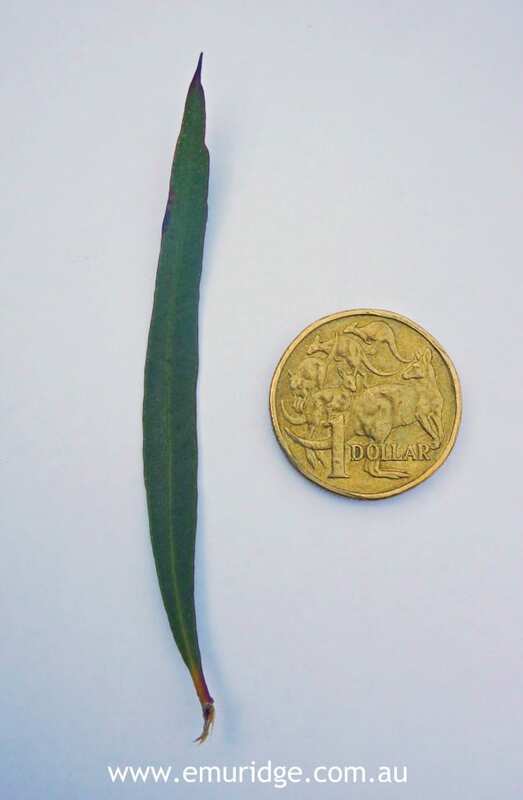 You can hold the older leaves up to the light and see the many eucalyptus oil cells throughout the leaf. However, the leaf does not have a fragrance unless you crush the precious oil cells. The beautiful new growth from Spring is where all the good oil is, so our distilling time is seasonal. We only produce our oil at the end of Spring and throughout Summer. The difference in yield is huge from only 1% in the Winter to 4% in the Summer. For example, our distilling pot holds about 500kg of leaves per cook, which produces only 1 – 2 litres of eucalyptus oil in winter, but produces 5 – 10 litres of eucalyptus oil in the summer. 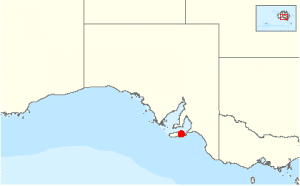 Distribution and population only occurs in South Australia. Common on the eastern part of Kangaroo Island, and occurs in restricted pockets near Waitpinga on Fleurieu Peninsula. 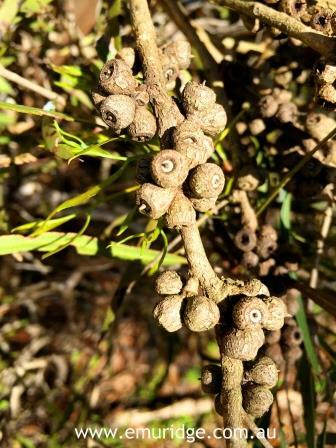 There has also been findings of this plant near coastal locations of southern Fleurieu Peninsula, between Deep Creek and Victor Harbour. The fruit of the tree is a small football shape, as shown in the picture below, with the red tops dropping off to welcome the white or cream fluffy flowers inside. We use the the leaves, fruit and flowers to decorate all kinds of different products in our retail shop, and also use them in our pot pourri. The picture below is of part of our plantation at Emu Ridge. 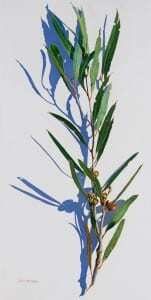 Larry selectively bred the eucalyptus with the help of research working with the Waite Institute in Adelaide. 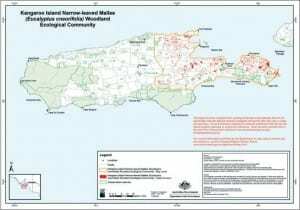 He planted his trees in contour rows and harvests every second row so that the remaining row will protect the new growth from the Kangaroo Island weather. The trees are harvested to the ground and are re-harvested every one to two years. This keeps the tree as a hedge instead of growing into a taller tree. Below are the trees left to grow tall. The name “Mallee” means several slender stems. The tree ends up with a “canopy” of leaves up the top. Multi-stemmed or single-stemmed trees can grow up to 10 meters high, with the adult leaves alternating. 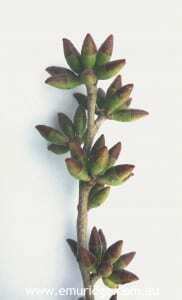 The leaves are generally on petioles 5-10 mm long, sub-erect, glossy and an olive-green colour. 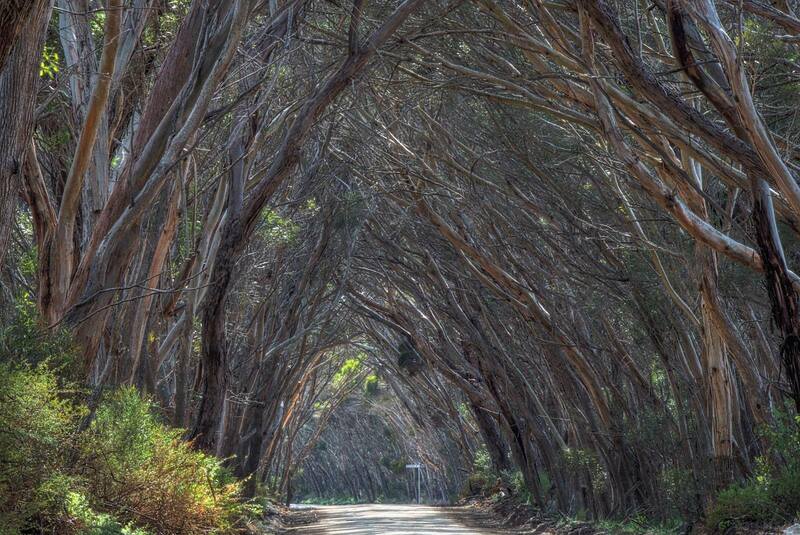 Below is a famous strip of road on Kangaroo Island which travels through the “tunnel” of Narrow-Leaf Mallee trees…. we have a few of these beautiful cathedrals on the Island. 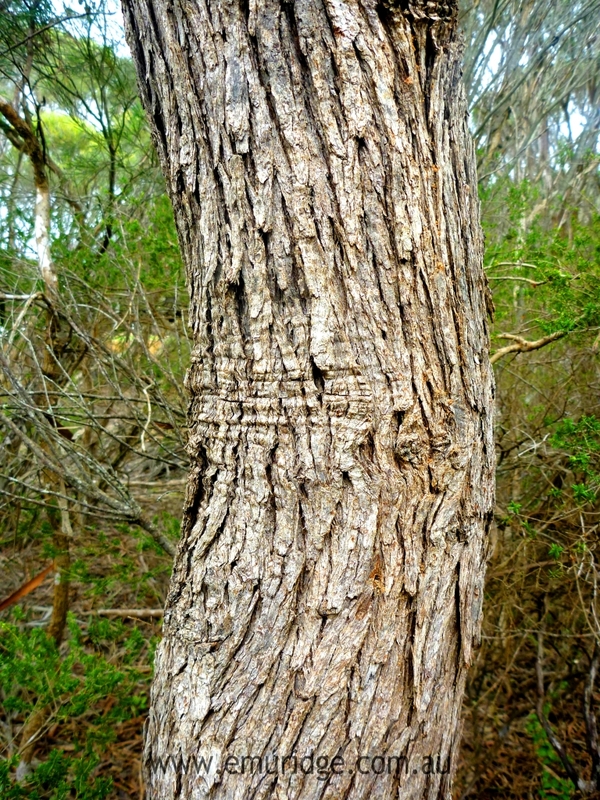 Below are photos of the bark. 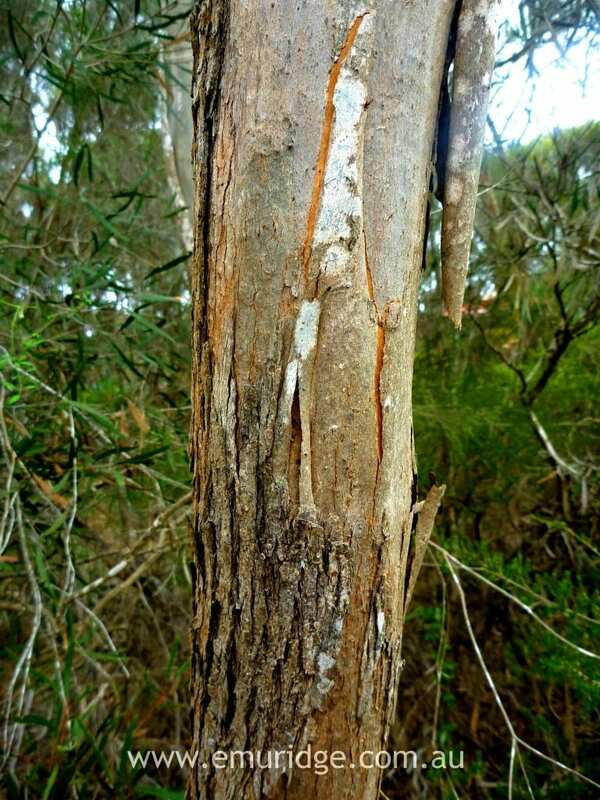 The bark is somewhat fibrous, greyish-brown to dark-grey, compact rough bark longitudinally fissured , being replaced by a smooth greyish bark. 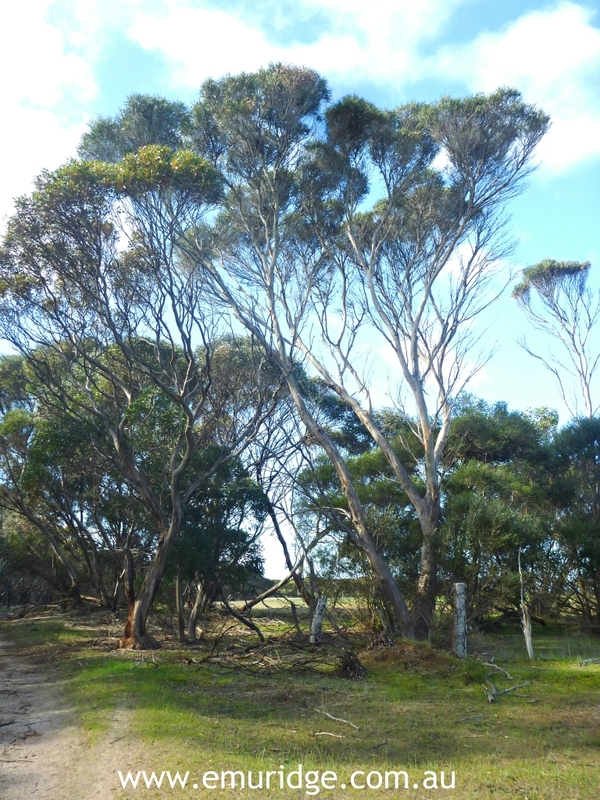 Below is a photo which shows the many stems growing from the mallee stump. 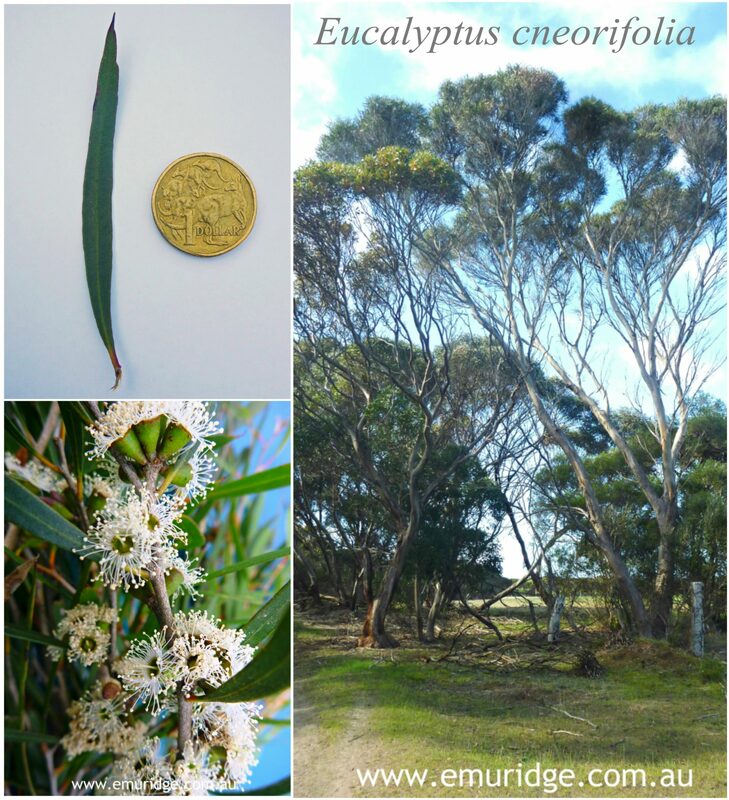 The Kangaroo Island Narrow Leaf Mallee (Eucalyptus cneorifolia) predominately covers the Eastern side of Kangaroo island as you can see in the below images. Below is some artwork I would like to share with you from 2 of my favourite and Kangaroo Islands most accomplished and admired artists. Janine Mackintosh and Scott Harshorne. 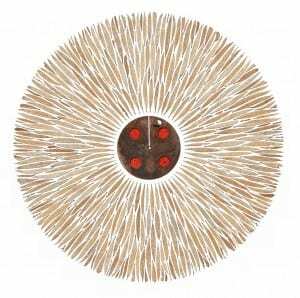 Each has a unique take on nature, Janine with meticulously sewn assemblages of natural objects and Scott with his giant, sparse oils reminiscent of herbarium sheets. 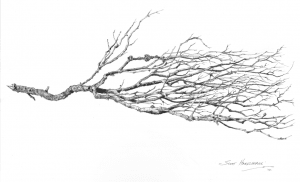 Scott Hartshorne’s oversized branchlets of native Kangaroo Island trees are the perfect complement to the detail of Janine’s assemblages. They strip down the tree to its essence and present it boldly and powerfully. Dry Branch: A Study In Complexity Eucalyptus cneorifolia, Kangaroo Island Narrow-leaf Mallee. 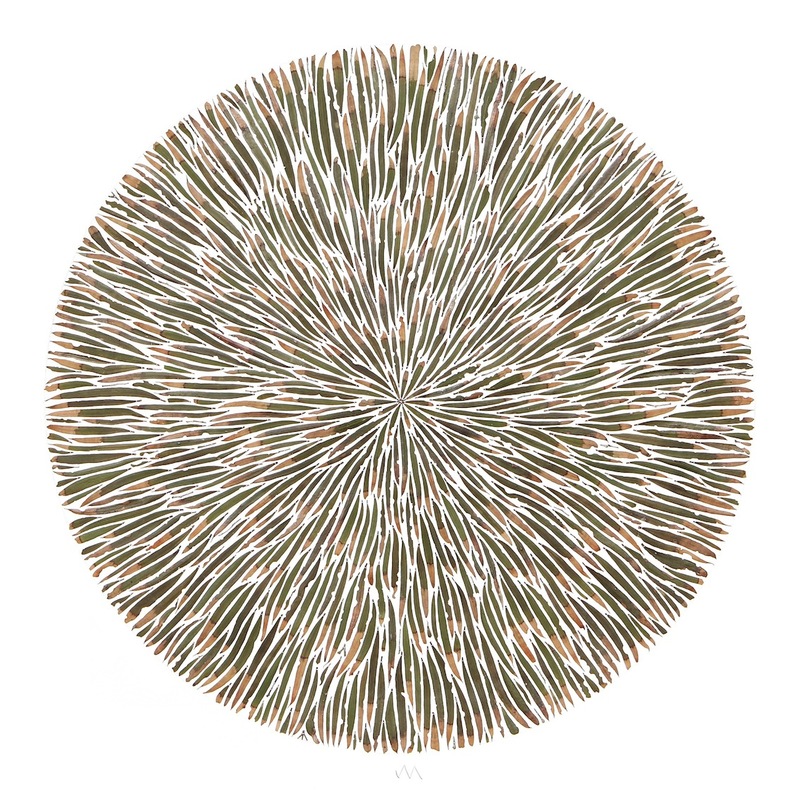 Janine’s assemblages present in mesmerising detail the natural world of Kangaroo Island and in particular her own Heritage listed property. Her art is a message to save what we have left of the complexity of biodiversity. 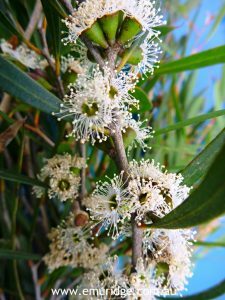 Bev and Larry have been producing Eucalyptus Oil from the Kangaroo Island Narrow-Leaf Mallee since 1991. Emu Ridge Eucalyptus Distillery is an important part of Kangaroo Island’s Tourism industry, adding to the variety of Kangaroo Islands produce and preserving important history. 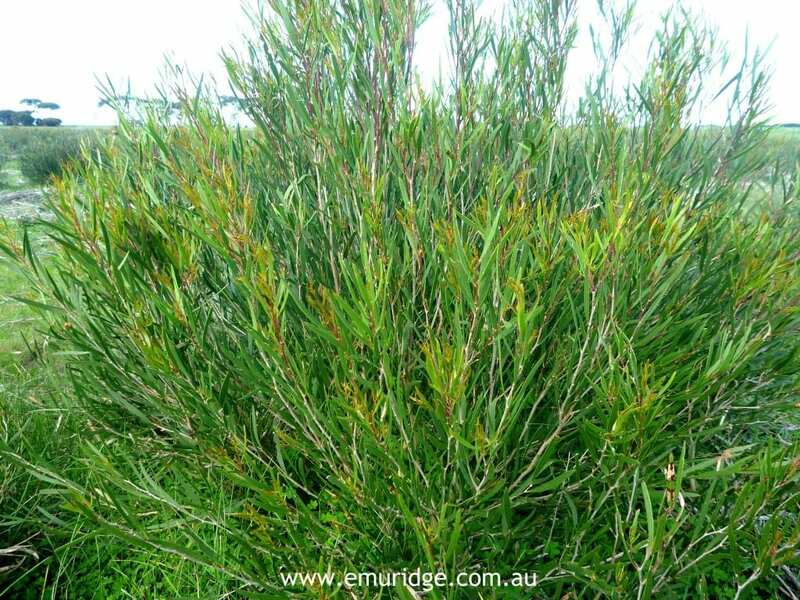 Emu Ridge – The last South Australian Eucalyptus Oil Distillery! 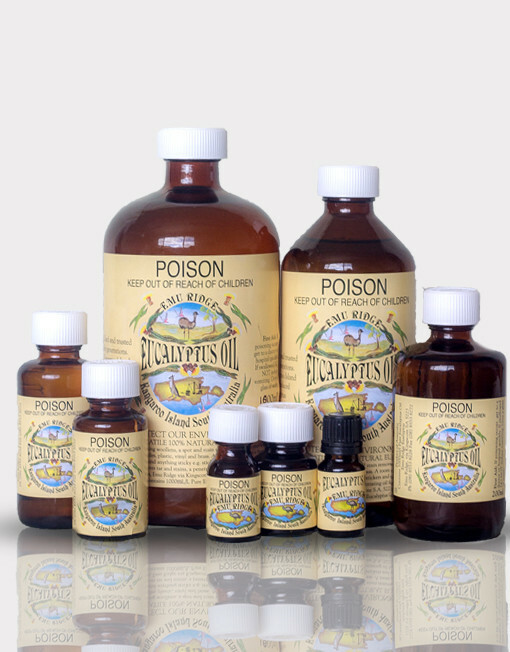 Their shop on Kangaroo Island is the main outlet for their Eucalyptus Oil. Their online shop is also largely used by our supporting customers, from all over the globe! These pictures were taken from our very own trees here at Emu Ridge to illustrate the unique species.